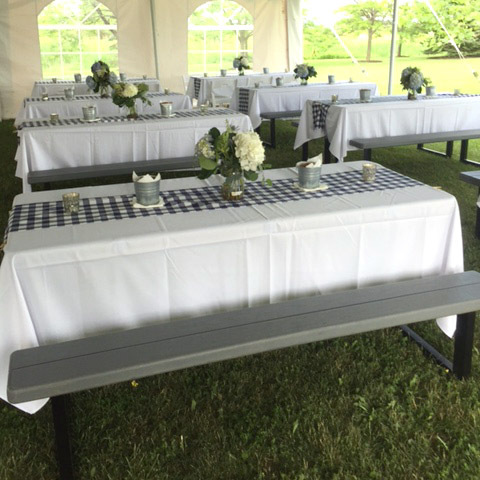 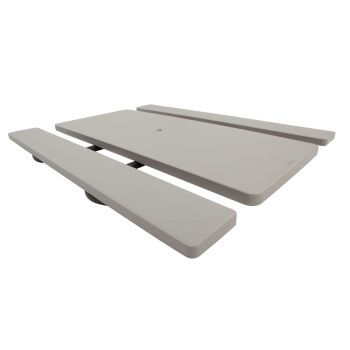 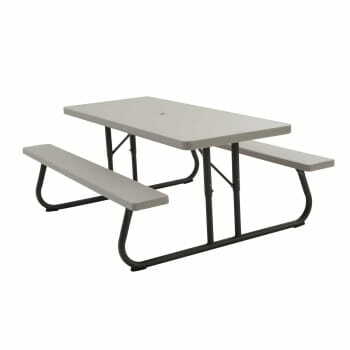 The 6-foot folding picnic table that gives you that perfect extra outdoor eating space that you need for your event. 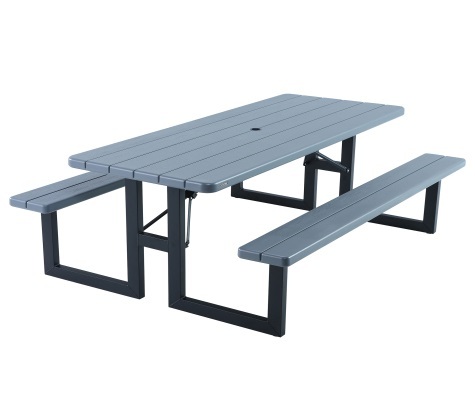 Seats 8 comfortably and folds flat for transport and storage. 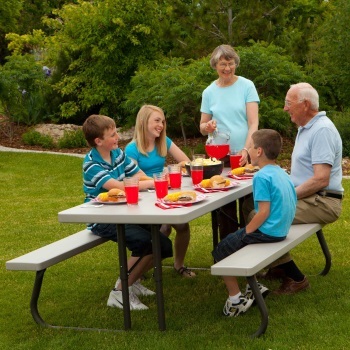 It’s light-weight durable plastic top is easy to clean and includes an umbrella hole for those hot summer days.